By invite only, Nike friends and family and select Nike+ members will have the opportunity to experience custom design like never before starting this month. This month, Nike is opening the Nike Makers’ Experience at Nike By You at 45 Grand St in New York. With help from Nike’s Advanced Innovation team, the goal is custom sneakers in an hour and a half. 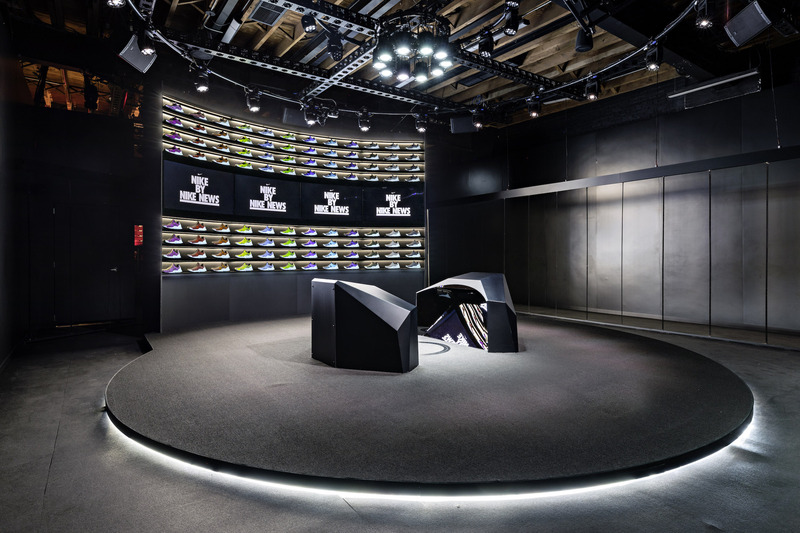 This innovative environment, dubbed the Nike Makers’ Experience, focuses on Live Design (created by Nike partner W+K Lodge) allows users to create custom shoes in less than 90 minutes. Using inspiration that includes everything from graphic options that can be created from a simple phrase to a “nearly infinite” amount of color options, those invited will have the opportunity to draw their own inspiration for a sneaker — just like some of Nike’s signature athletes have. Additional design details include the use of typographical input (such as a specific date like a birthday or anniversary) that will create patterns that can be scaled to your preference. Dynamic object tracking and projections will “bring the design to life” right in front of you. People will create one-of-a-kind versions of the Nike Presto X, a silhouette created by the Nike Advanced Innovation team for the Nike Makers’ Experience. There are two builds, a traditional Presto and a slip-on. What do you think of the latest project by Nike (without having actually seen it in action)? Are you a Nike+ member hoping to get that invite down the road? Let us know in the comments.